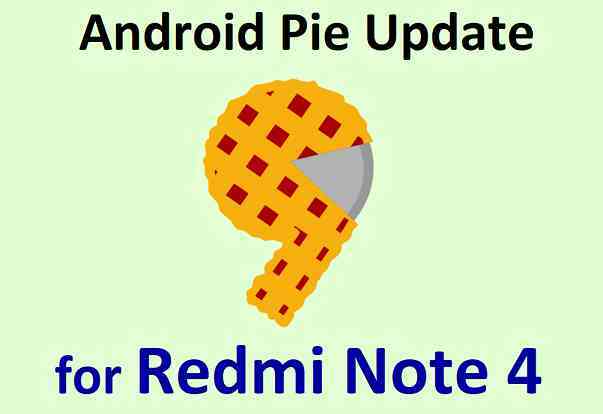 If you are looking to update Android Pie for Redmi Note 4, then here I have list of Android 9 Pie ROMs for Redmi Note 4 and a step-by-step guide on how to install Android Pie on Redmi Note 4. The Redmi Note 4 (codename: mido) was launched with Android Marshmallow, and the last it was upgraded to Android Nougat. – This is not an official upgrade. This Android Pie upgrade for Redmi Note 4 is through custom ROM such as AOSP ROM. – Installing a custom ROM requires little bit advance knowledge of operating an Android device. Download one of the Android Pie ROMs available for Redmi Note 4 from the above list. Root binary is NOT inbuilt in any custom ROM. So you may need install a SuperSU ROOT zip file. Download the TWRP recovery for Redmi Note 4 from the downloads list. Install TWRP Recovery on Redmi Note 4 using fastboot. Then, download one of the Android Pie ROMs available for Redmi Note 4 and copy the file to your phone using TWRP MTP mode or sideload. Reboot your phone and enjoy Android Pie on Redmi Note 4. If you are facing any issue while following this guide, then you can comment here or you can create a topic on the Redmi Note 4 (mido) Forum or on the respective Android Pie, LineageOS 16, Android Oreo Custom ROM topics. Android 9 Pie based LineageOS 16 for Redmi Note 4 is also available to be updated.